An original tool to keep on your countertop, the Emile Henry Salt Pig allows you to always be in an arm’s reach of salt when you’re cooking. Its non-glazed interior prevents your sea salt from sticking together. The wide opening accommodates even the largest of hands, and the slightly arched hood helps keep your salt free of food debris while cooking. The simple, yet classic shape of this piece is further emphasized by the vibrant colors and deep hues of the glazes. Emile Henry (Ehm-meal Ahn-ree) is a family-owned French ceramics company that began in 1848 with Jacque Henry in Marcigny, a village in his native Burgundy. In 1982, as a tribute to his grandfather, Jacques Henry changed the name of the company to Emile Henry, to honor the passion handed down from generation to generation. 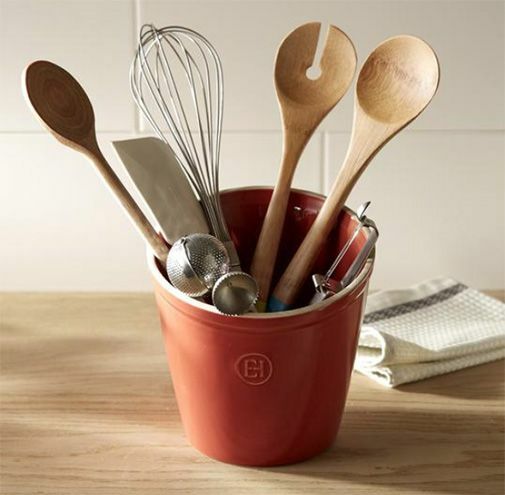 Emile Henry has established a worldwide reputation for manufacturing the ﬁnest quality ceramic ovenware, gourmet cooking products, and bakeware products. 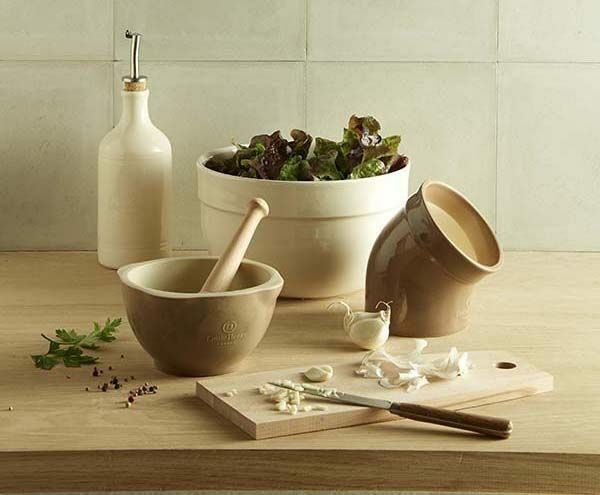 Still owned and operated by the Henry family, the company today manufactures all of their new cooking products from Burgundy clay using their proprietary High Resistance Oven Ceramic state-of-the-art manufacturing process. All Emile Henry products are made in France and offer a ten years guarantee.